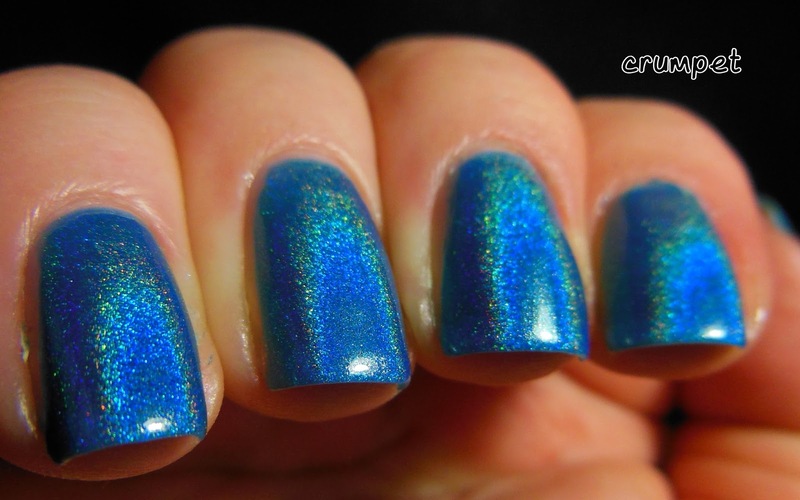 We close my review of the Ultimate Outlaw Collection from Literary Lacquers, with this, the eponymous polish. This one gets a post to itself because - well, just look at it!!!!! 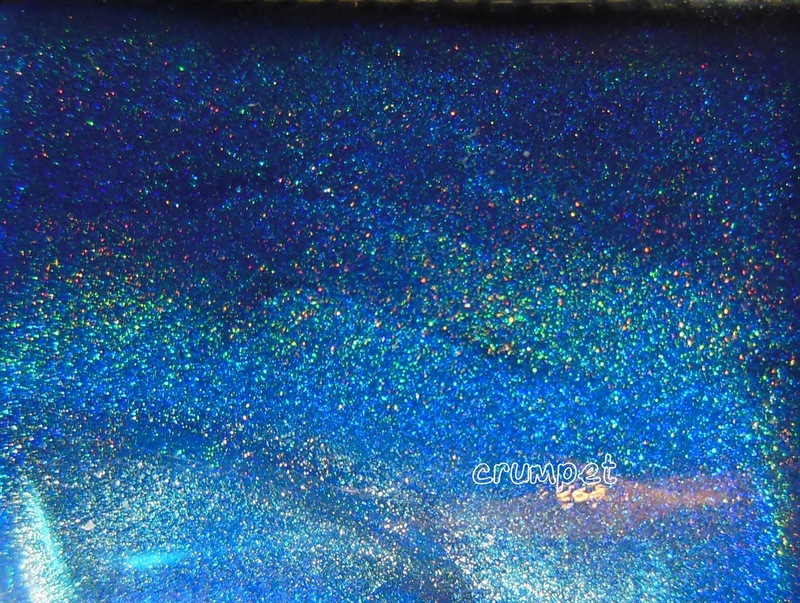 This is a stunning blue holo, stunning stunning stunning. In real life, this is probably a fraction darker than the photos are showing. 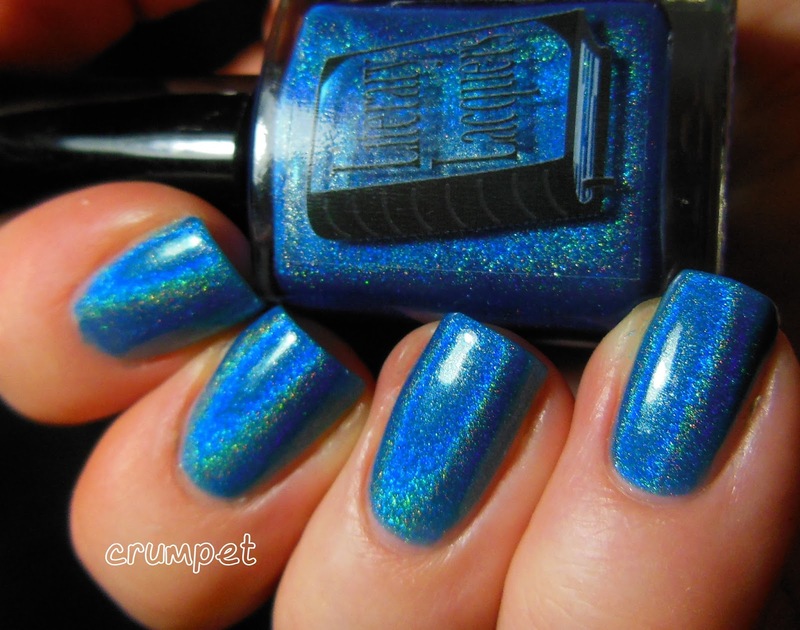 Intense blues and blue-teals can send my camera a bit wappy! 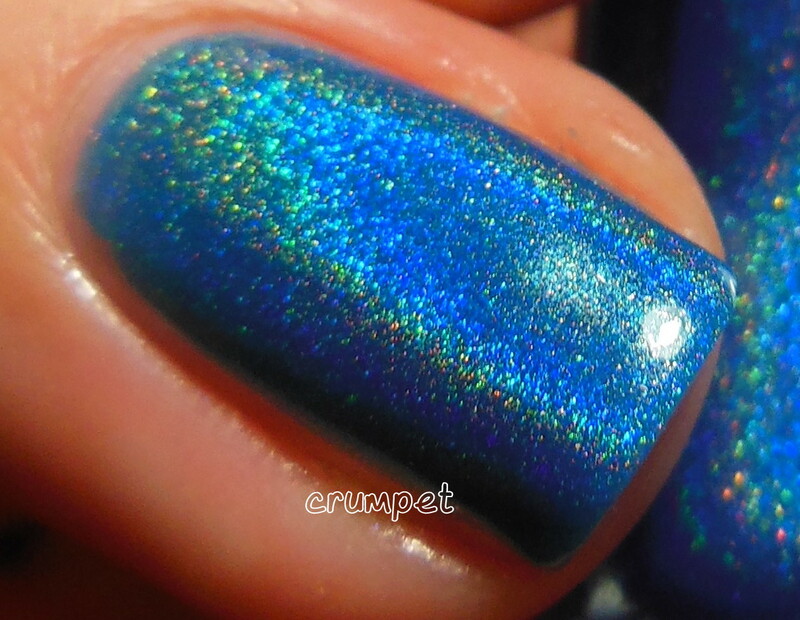 The holo bend in this is crazy, and I loved wearing it. 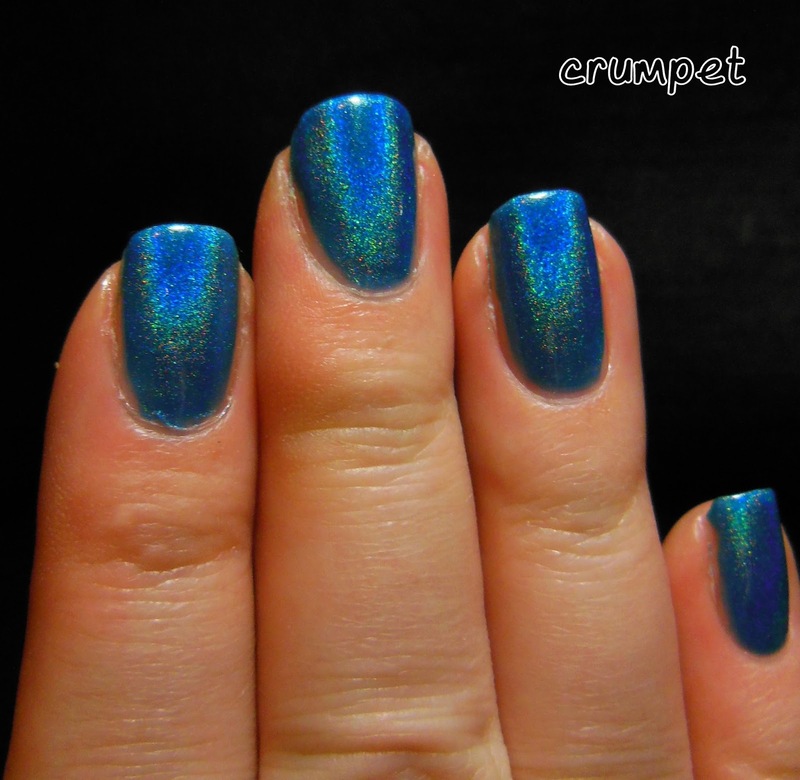 Unusually for LL, this was quite thick, formula-wise, (Amy's holos are usually gossamer-light), so I am hoping this might make it a good stamper too. 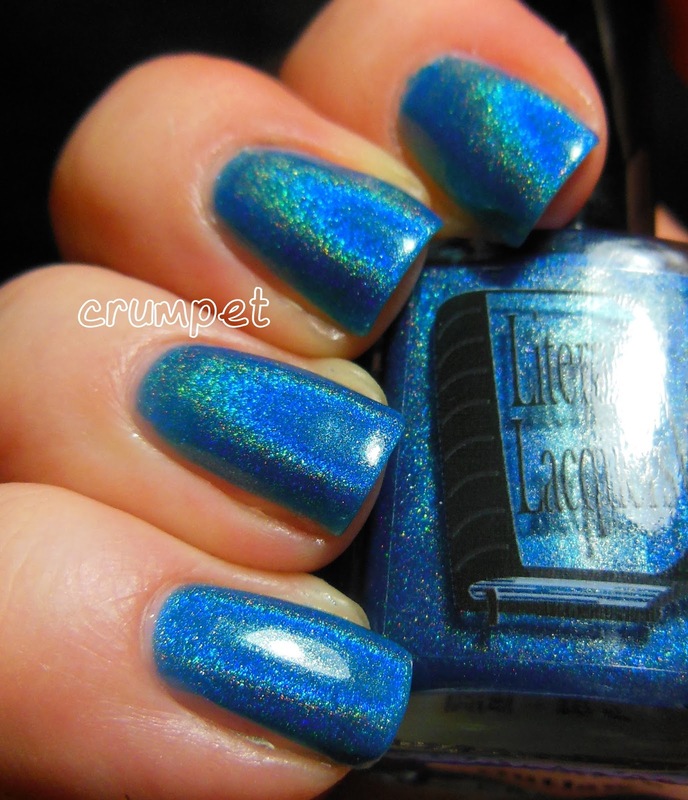 I hope you've enjoyed seeing all the polishes. This and Ether Binge are probably my favourites, then the purples and The Mad Ones. 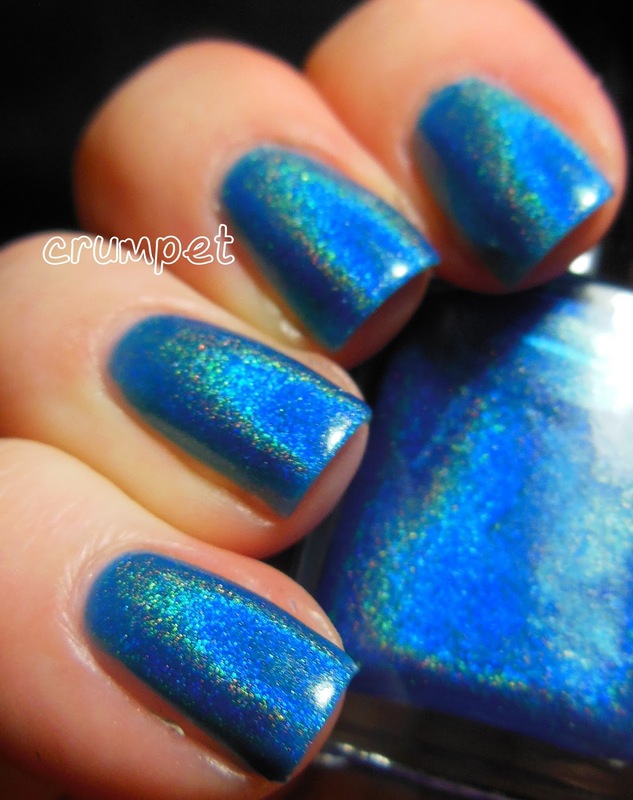 All of the polishes were sent to me for an honest review.